Next story in Power Play Part 5: Do N-plants make financial sense? 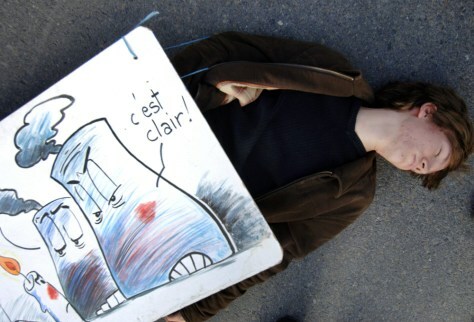 A protester plays dead during an October demonstration against Areva's plans to build one of its new reactors at Flamanville in northern France. Areva hopes to build similar plants in the United States through its Unistar venture with Constellation Energy.